Entertaining in Adelaide? Look no further than Creative Caricatures to provide that unique, cost-effective entertainment for your guests! 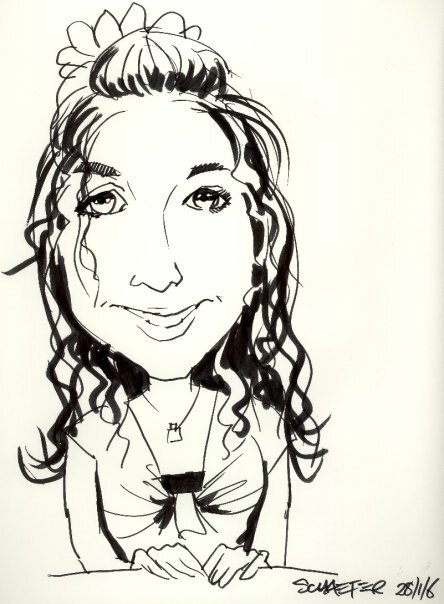 Bring a live caricature artist in, and your guests will leave with their own memento! Perfect for events such as: weddings, parties, functions, promotions, formals, birthdays and more! Creative Caricatures has been entertaining people in Adelaide for over 20 years with live caricatures. If you’re having a party, private function, corporate event or promotional service and need to entertain your guests, then make the most of Creative Caricatures’ experience for quality entertainment. To see examples, check out the Creative Caricatures portfolio.